Click HERE to see the entire, high-res version. 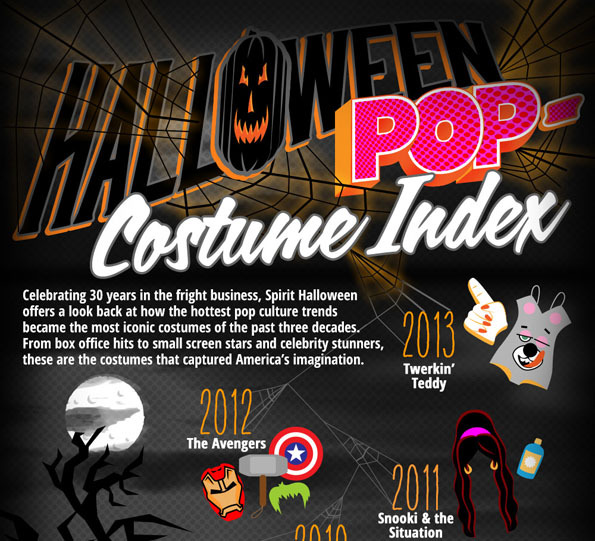 This is an infographic detailing the most popular pop culture costumes of the last 30 years. 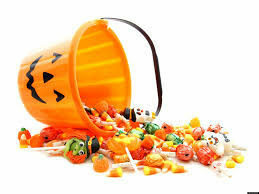 It was put together using data provided by Spirit Halloween, the largest Halloween costume seller in North America. It starts off strong with Princess Leia in 1983, gets weird in 1993 with Barney the Dinosaur, takes a turn for the worst with Austin Powers in 2000, then mega sad in 2011 with Jersey Shore’s Snooki and The Situation, and leads us right down WTF Is Wrong With You People Lane in 2013 with Miley Cyrus’ infamous Twerkin’ Teddy costume from the VMAs. I’d say I’m not suprised about this year’s pick, but I’d be lying — I was really expecting everyone was gonna go as Alf! What can I say, staying relevant has never been one my strong points.